Submitted photos Greene County Parks & Trails Naturalist Ashlee Schmitt presents a program on fossils at Greeneview Elementary School. GCP&T volunteer Tom Gray and GCP&T Naturalist Ashlee Schmitt answer questions from the Greeneview Elementary School class. XENIA — As a result of funding created by the passage of the Greene County Parks & Trails (GCP&T) levy, the park agency is now offering free school programming to classrooms at all age levels. The natural science and cultural heritage programs can be held within a GCP&T site or within the classroom as needed. GCP&T Director Jon Dobney said the free programming will educate the next generation about our local natural resources and history. “Our park agency realizes that schools are facing difficult economic realities when it comes to offering enrichment programs to support their curriculum. With the passage of the GCP&T levy we can now offer such programming at no cost,” Dobney said. Established program topics are available or programs can be created to meet the needs of the school. For more information on the topics or to schedule program, contact GCP&T at 937-562-6440 or email info@gcparkstrails.com. 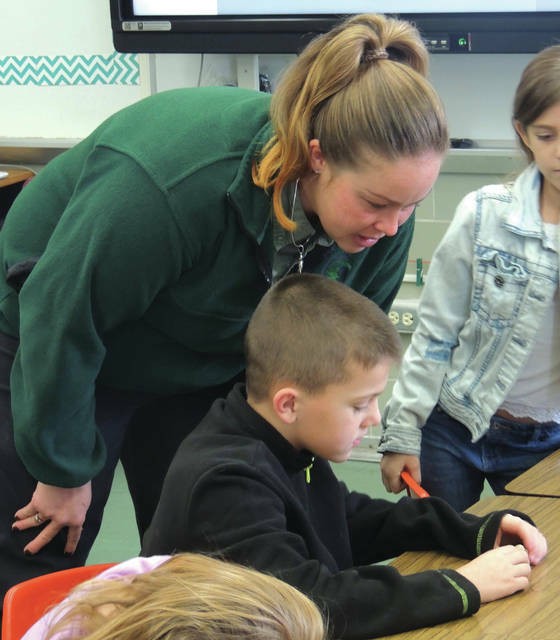 https://www.fairborndailyherald.com/wp-content/uploads/sites/50/2018/03/web1_Ashley.jpgSubmitted photos Greene County Parks & Trails Naturalist Ashlee Schmitt presents a program on fossils at Greeneview Elementary School. 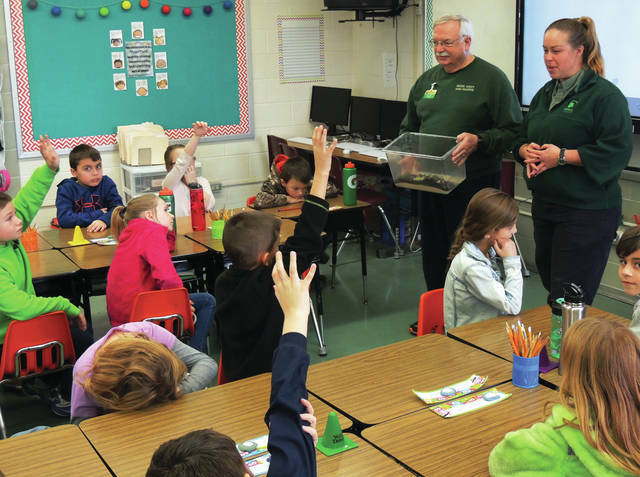 https://www.fairborndailyherald.com/wp-content/uploads/sites/50/2018/03/web1_Class.jpgGCP&T volunteer Tom Gray and GCP&T Naturalist Ashlee Schmitt answer questions from the Greeneview Elementary School class.